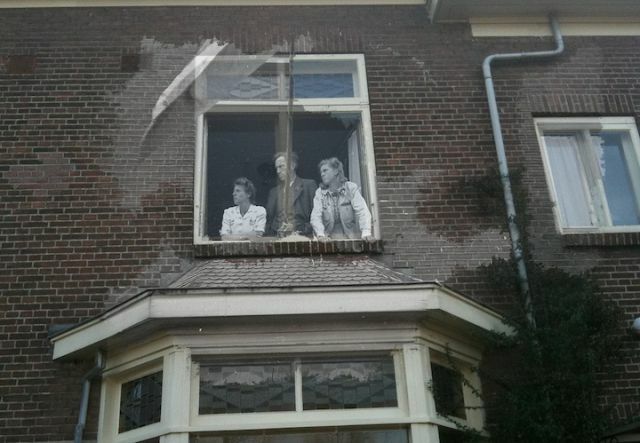 This post is some photos of what appear to be ghosts in Amsterdam. 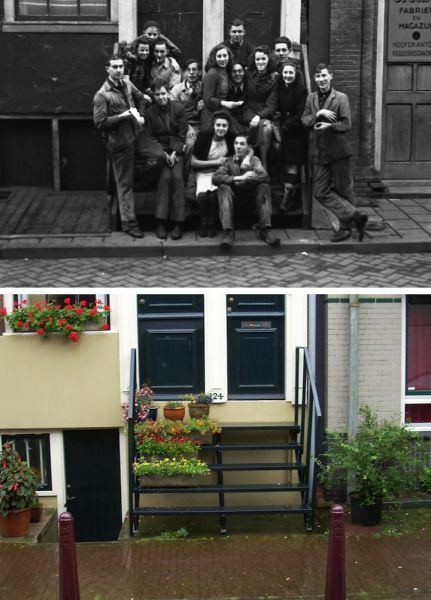 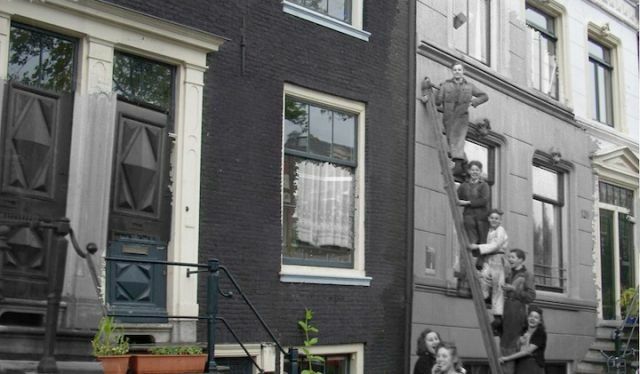 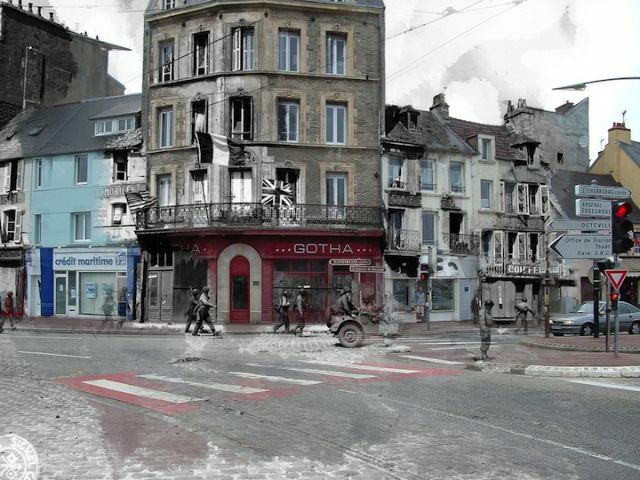 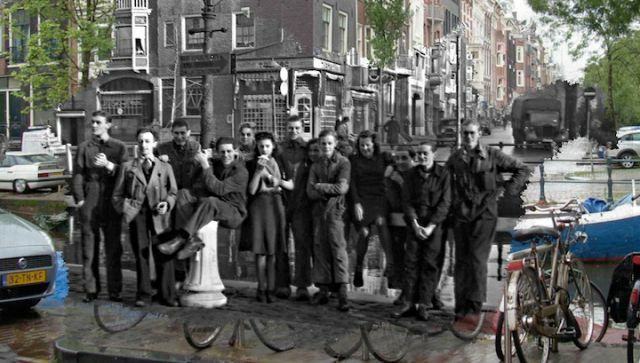 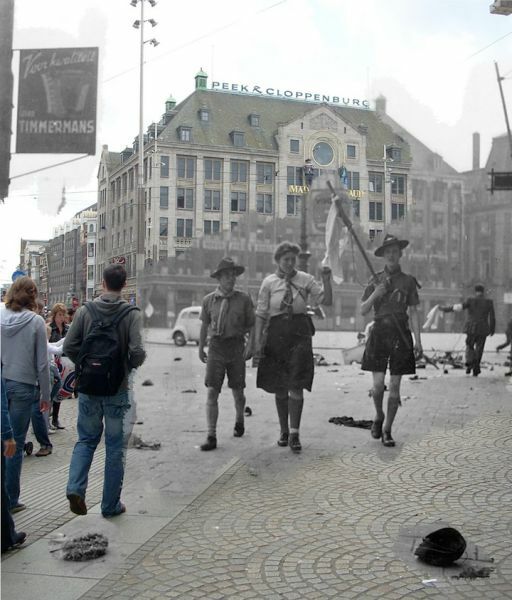 Historical consultant, Jo Teeuwisse located some negatives of World War II photos of Amsterdam at a flea market and then merged them with some more recent shots that she took. 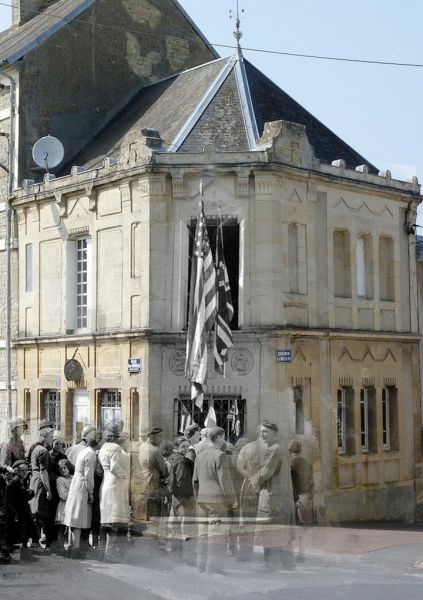 It was her way to honor those who came before us. 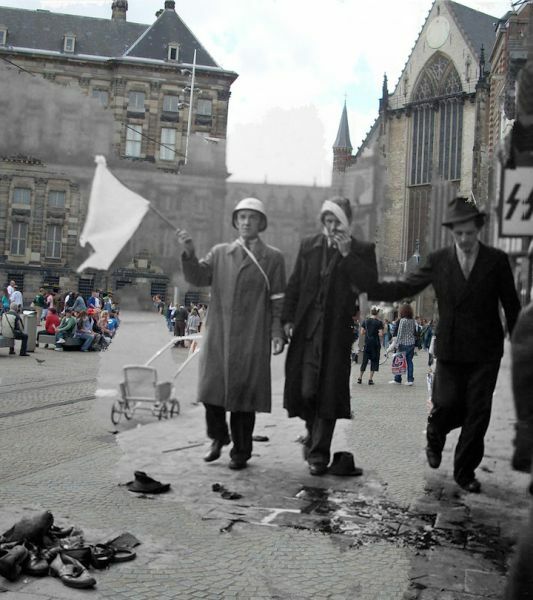 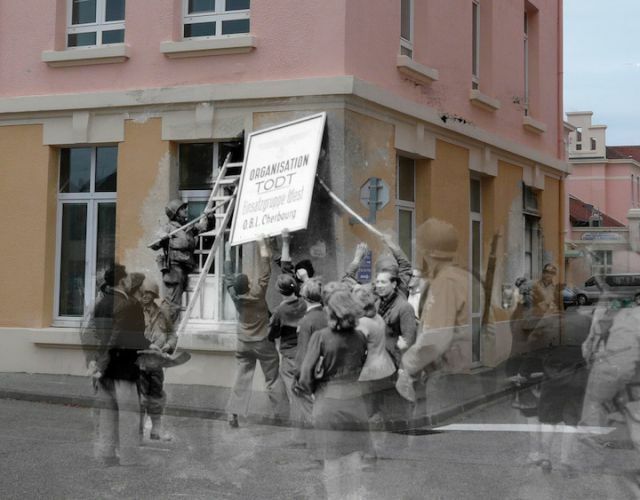 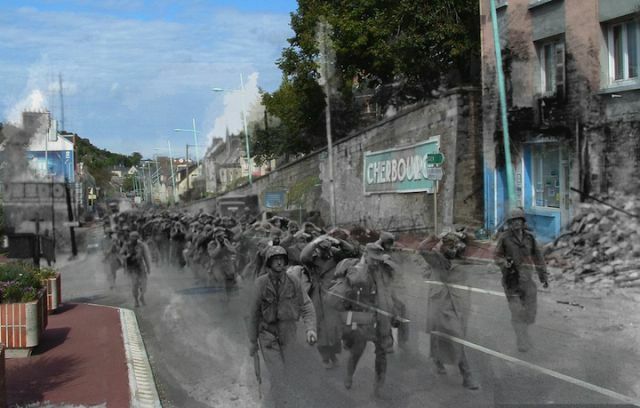 Jo was inspired by pictures of Sergey Larenkov who used this technique to superimpose old pictures of the Siege of Leningrad during the WW II with the recent pictures he took of the same places where the siege took place. 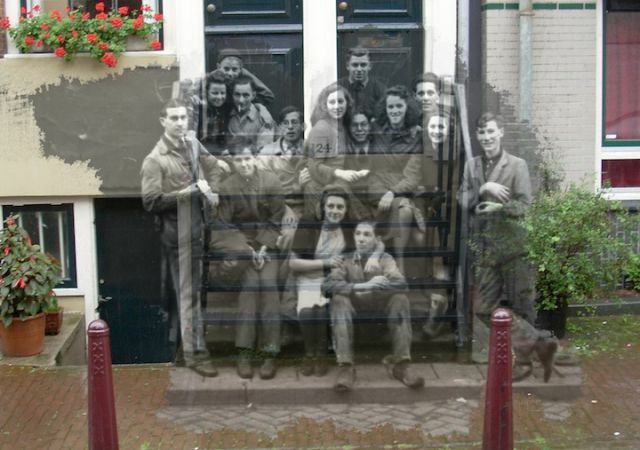 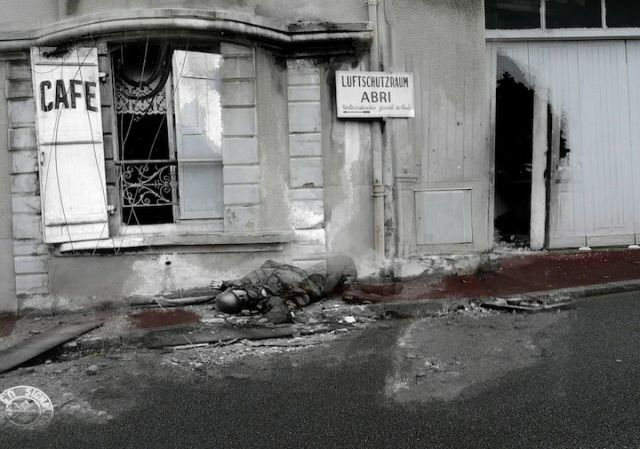 "This post is some photos of what appear to be ghosts in Amsterdam".